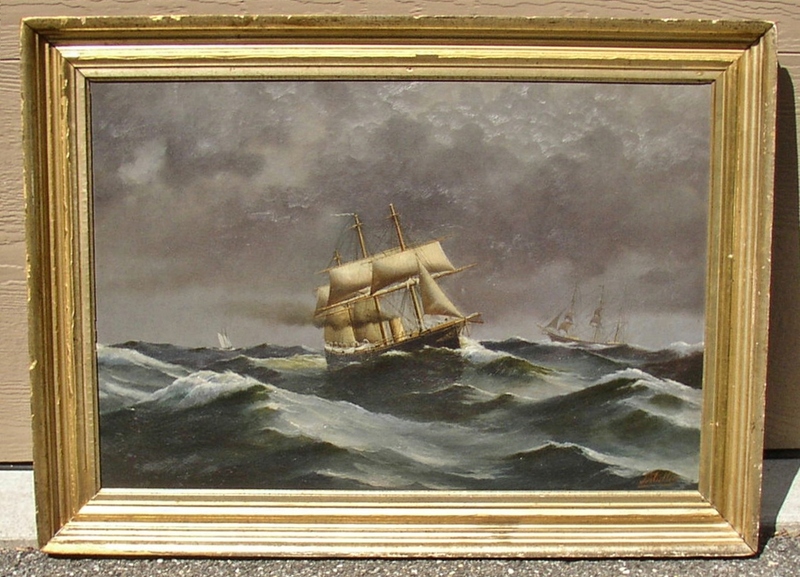 American Marine Seascape signed F Muller. Fritz Muller was born in 1814 in Blumenthal, Germany, and emigrated to the US in 1854 or 1864. The painting is in excellent, relined conservancy.